Now that you have settled into 2019 and are likely tired of complicated New Year’s Resolutions, it is time to take some simple steps to protect your health. One step that is easy and doesn’t require a bullet journal or a gym membership is testing your home for radon, a naturally occurring, radioactive gas. It can’t be sensed by the human senses but can increase your risk of lung cancer. Getting a free test kit is easy and can be done at over 25 locations across the state of Nevada until Feb. 28. Photo courtesy of the Nevada Radon Education Program, Cooperative Extension. Radon is the primary cause of lung cancer for nonsmokers and the second leading cause for smokers, taking an estimated 21,000 lives a year in the U.S. Over time, living in a home with an elevated level of radon increases the inhabitants’ risk of developing lung cancer. As the gas decays, solid particles are formed, inhaled and deposited in the lungs. The radiation that those particles release can damage the lung cell’s DNA, resulting in cancer. The U.S. Environmental Protection Agency (EPA) action level for radon, the concentration where the health risk necessitates fixing, is 4 picocuries per liter of air (pCi/l) or greater. According to experts, living in a home with the level of 4 pCi/l for a year poses a similar risk of developing lung cancer as smoking half a pack of cigarettes a day for a year. The EPA estimates that one in 15 homes nationwide has an elevated level of radon, while that ratio is one in four in Nevada. All households should be tested every two years, before or after remodeling, and after significant seismic activity. Testing is the first step towards protecting you and your family from the radon health risk and the only way to know the concentration of the gas. If your results comeback at or above the action level, retest, following the recommended steps in the results report. If follow-up tests confirm a radon issue, then mitigation is recommended. If you verify and find that your house has an elevated level of radon, it’s best to have the issue resolved by a certified radon professional, who is also a licensed Nevada contractor. Hiring such an individual will help to ensure that the mitigation is done according to industry standards, the repair is completed safely, and the concentration of the gas in your home is reduced below 4 pCi/l. The cost, averaging between $2,500 to $3,800, is minimal compared to the health and monetary cost of lung cancer. To help residents protect their lung health, short-term test kits are free to Nevadans from Jan. 1 to Feb. 28 in honor of National Radon Action Month. A list of locations for test kit pick up, ways to order a kit by mail (there is a fee for shipping), and educational presentations can be found at www.RadonNV.com. 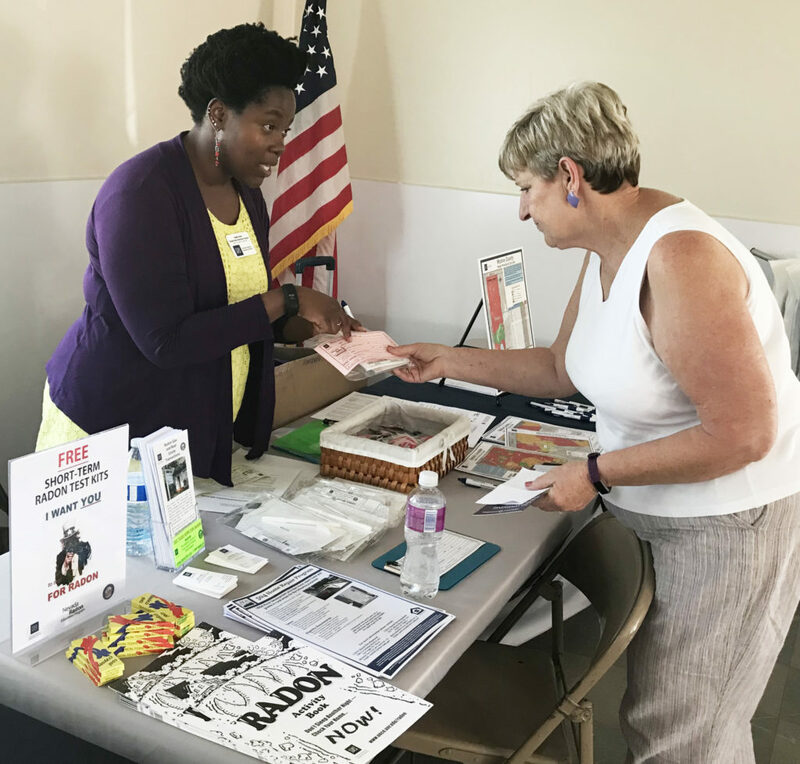 Nadia Noel is the Radon Education Coordinator for the University of Nevada Cooperative Extension’s Radon Education Program, a grant-funded program supported by the Nevada Division of Public and Behavioral Health. For more information, call the Radon Hotline at 1-888-RADON10 (1-888-723-6610) or visit the Nevada Radon Education Program website at www.RadonNV.com.